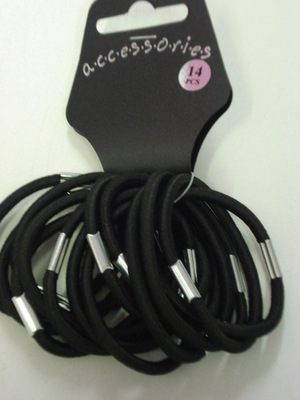 Pack of 14 thick Hair Elastics. Please choose colour mix from drop down menu. The Black is just all black but the other colours will be in tones of the same colour, the Pink is tones of Pink and White for example.